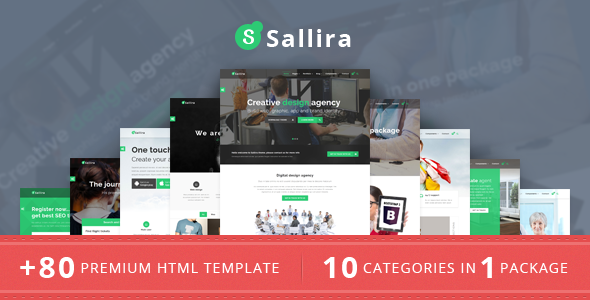 Sallira is a multi purpose theme in one download package. This template is very easy to customize with great code structure, very suitable for marketing business or personal website. It is very simple, clean and modern. Sallira comes with 15 index variants, 12 color options, working contact form, 2 Under construction page, one landing page, shopping page ready, full components with shortcode, PSD layered, etc.